Nottingham City Council’s Energy Services has won The Association for Public Service Excellence (APSE) Award for Best Renewable Energy and Energy Efficiency Initiative. The APSE awards celebrate outstanding achievement and innovation within local government. Energy Services was recognised for its innovative approach to reducing the council’s energy demand to ultimately improve its environmental performance and help manage its budget. Solar systems on over 40 operational sites, which save the council over £150,000 each year and bring in over £300,000 year via FITs a subsidy for the generation of renewable electricity. UK’s first publicly owned solar car park at Harvey Hadden Sports village and Ken Martin Leisure Centre. Operating one of the largest district heating networks in the UK which is powered by energy-from-waste; many council buildings are connected to this network for their heat and power. Energy efficiency projects such as LED lighting and upgrading heating systems — last year alone the team completed over thirty projects which will save the council over £100,000 each year. 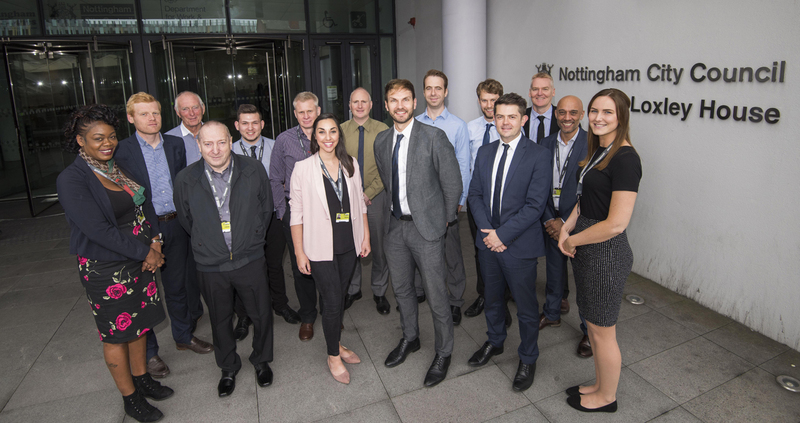 Councillor Sally Longford, Portfolio Holder for Energy and Environment at Nottingham City Council, said: “It’s a great achievement to have won these awards and testament to the services’ innovation and hard work. Next : Is social housing one of Scotland’s best kept secrets?